A new study released by NASA claiming a discovery that many galaxies throughout the universe are undergoing an evolutionary process is being questioned by a noted astronomer. The Astrophysical Journal published a report this week on the “DEEP2 survey,” in which the noted space research agency stated that it had observed signs of change within the shape of various disk galaxies — collections of stars that are of a flat, spherical shape, with a bulge in the center. The discovery surprised many scientists who believed that galaxies have been static since their formation. 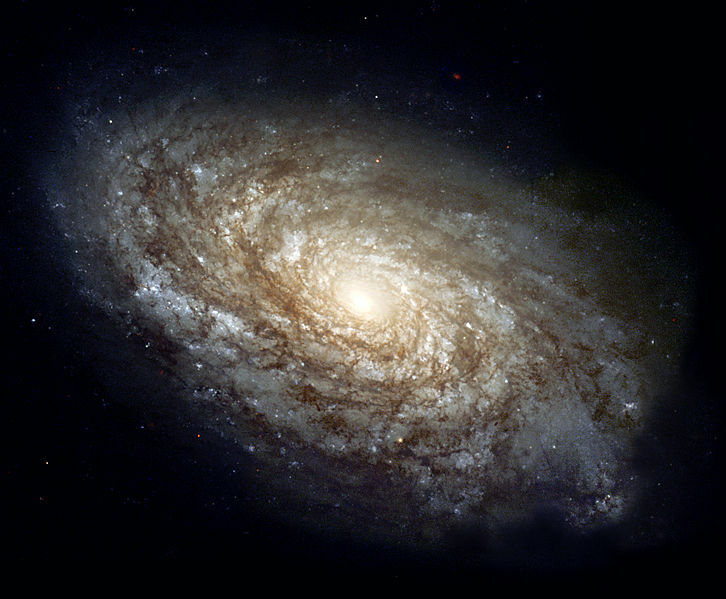 Research conducted with the Hubble and Keek telescopes produced photographs of galaxies that are estimated at being two to eight billion light years away, and reportedly showed shape formation and organization increasing as rotation speed increased. Galaxies that were father away from the Milky Way were more chaotic, while those closer were more distinct in shape. However, not all astronomers are quick to believe that the study produces proof of secular evolution. Dr. Danny Faulkner, an astronomy and physics professor of 26 years at the University of South Carolina Lancaster, told Christian News Network that while the discoveries are fascinating, he believes that they are inconclusive. He noted that according to the second law of thermodynamics, chemicals go from high order to low order and gravitationally from high energy to low energy — not the other way around. Dr. Faulkner noted that there have been a various theories in place over the years regarding the formation of the galaxies, including that small clusters of stars merged with others to form the groupings we see today. “That theory in the last decade or so has become very popular,” he said. “The Milky Way galaxy must have gone through the same rough-and-tumble evolution as the galaxies in the DEEP2 sample, and gradually settled into its present state as the sun and solar system were being formed,” NASA asserted, referring to its belief that earth’s galaxy evolved over 4 billion years ago. However, many scientists state that they find this hard to believe, as it has been proven that the earth is positioned at the exact perfect distance from the sun and moon for life to exist on earth. They explain that if the earth were even a few degrees closer or further away from the sun, the earth would either be completely scorched or enveloped in frozen tundra. Kassin of NASA did note, however, that further research is needed on the topic. As for Faulker, who will be joining the staff of the Christian organization Answers in Genesis in January of 2013, he states that he hopes to continue to study these matters, and notes that he would be glad to see more entering the field of astronomy.